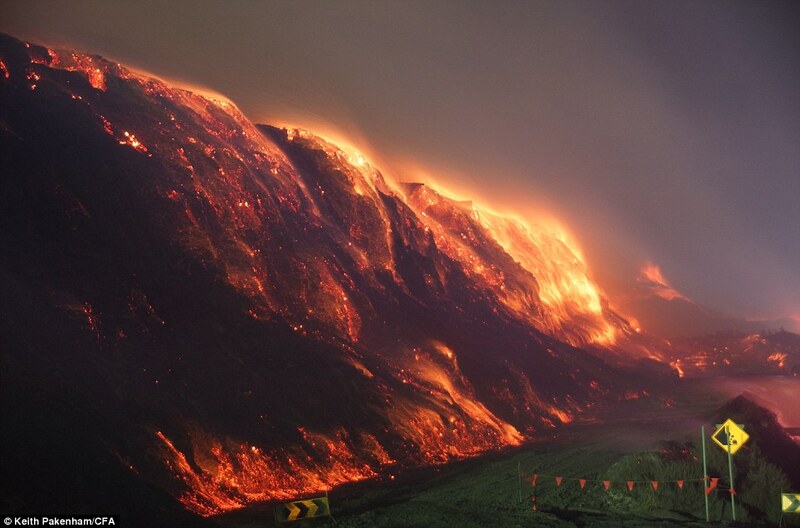 Towering flames reach to the sky in a spectacular scene that resembles a volcano eruption as a wall of fire rages at an Australian coal mine. 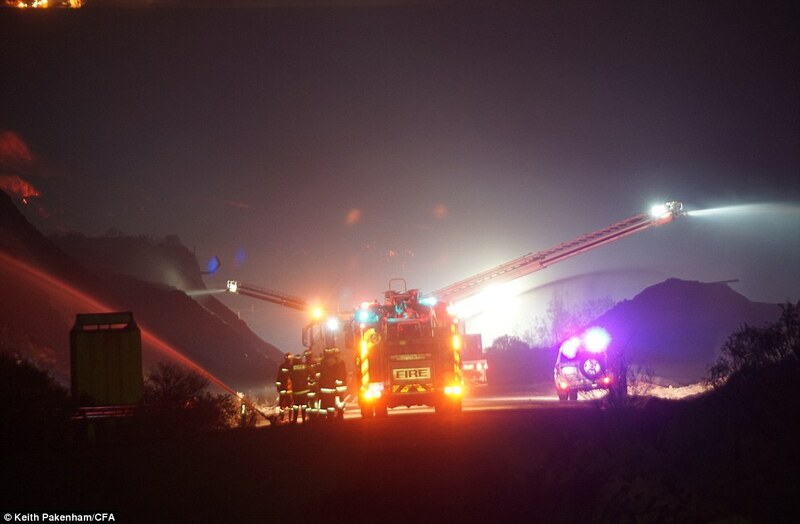 Dramatic photographs have emerged of an out-of-control fire at Hazelwood open-cut coal mine, which has left the Victorian town of Morwell exposed to smoke and ash. 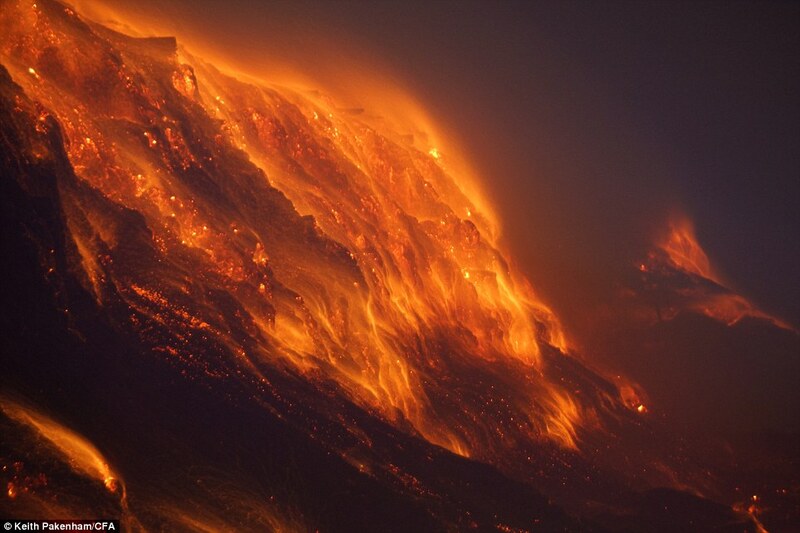 The fire is burning over 400 hectares of land, with flames reaching between 20 and 50 metres high. This fire has been going for a month now and apparently is now under control but not out. 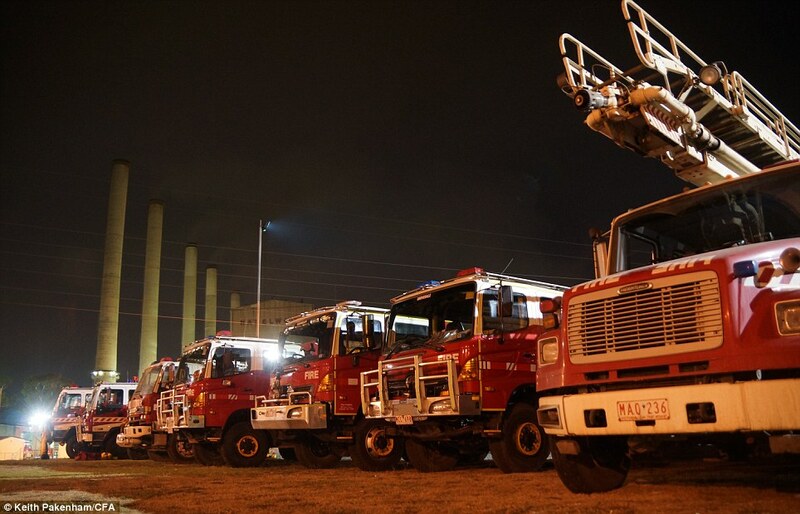 Wall of fire: Coalmine in Morwell, Victoria, Australia has been on fire for almost three weeks after an arsonist lit bushfire that spread.